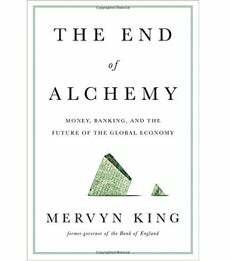 In The End of Alchemy: Money, Banking and the Future of the Global Economy, Lord Mervyn King offers his perspective on the history and future of money and banking – the keys to modern finance. According to King, the Industrial Revolution built the foundation of our modern capitalist age, and yet technological innovations during that dynamic period relied on the widespread adoption of two older ideas: the creation of paper money and the invention of banks that issued credit. As King argues, we now take these systems for granted, resulting in what he calls “financial alchemy” – the creation of extraordinary financial powers that defy reality and common sense. He recognizes that faith in these powers has led to significant benefits – the liquidity they create has fueled economic growth for centuries. However, these systems also led to economic adversities, including hyperinflations, banking collapses, global recession and stagnation. King draws on his experience at the helm of the Bank of England to examine these economic forces and to present a way forward for the global economy. His solution provides a path to lasting prosperity and the end of society’s overreliance on financial alchemy. Lord Mervyn King is a Professor of Economics and Law, a joint appointment with NYU’s School of Law, and the Alan Greenspan Professor of Economics at NYU Stern. Lord King served as Governor of the Bank of England and Chairman of its Monetary Policy Committee from 2003 to 2013.